Hi, any one can help me? 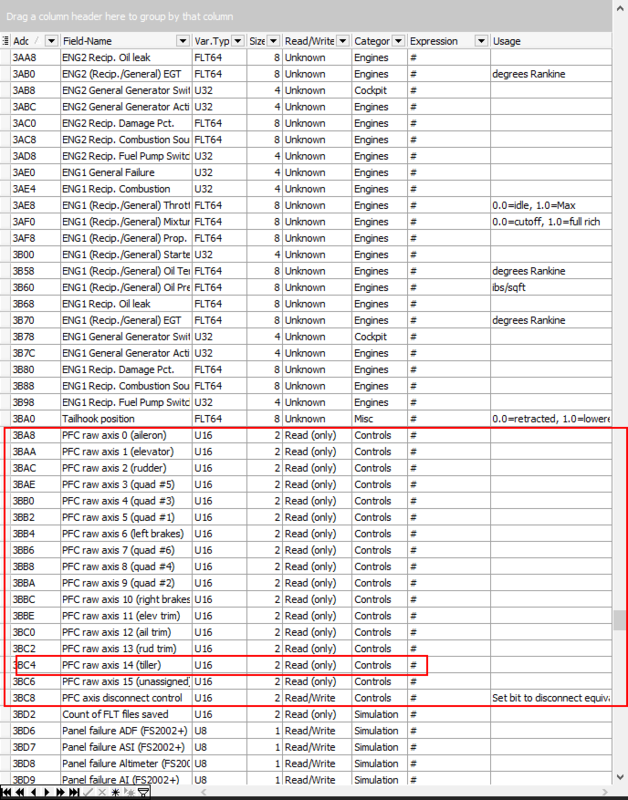 I need to using FSUIPC set steering tiller, but I found in the document of FSUIPC for Programmers.pdf only two offset, all of them read-only, can't write. In this document of The 2016 List of FSX and P3D Controls.pdf can find three, how can I write a C# program using this three write to P3D? assignment and calibration in FSUIPC.